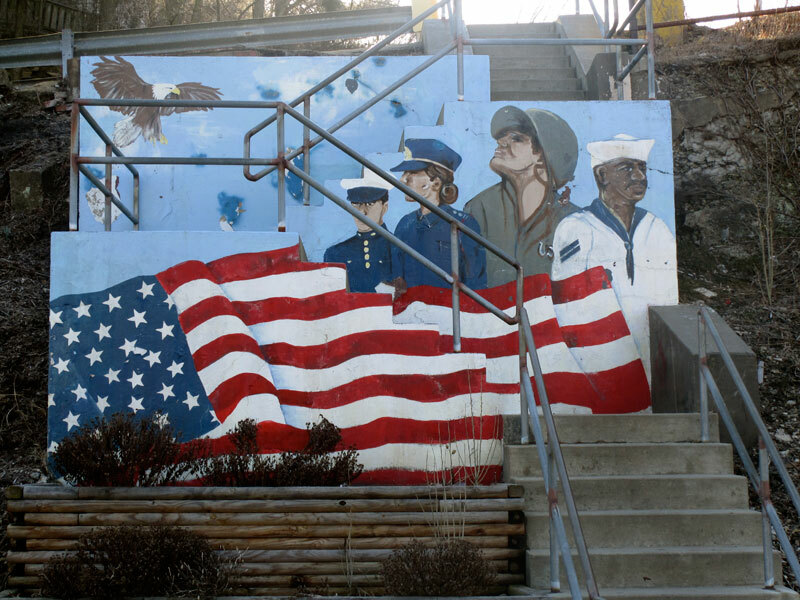 This mural is a part of a much larger memorial to veterans from Verona. 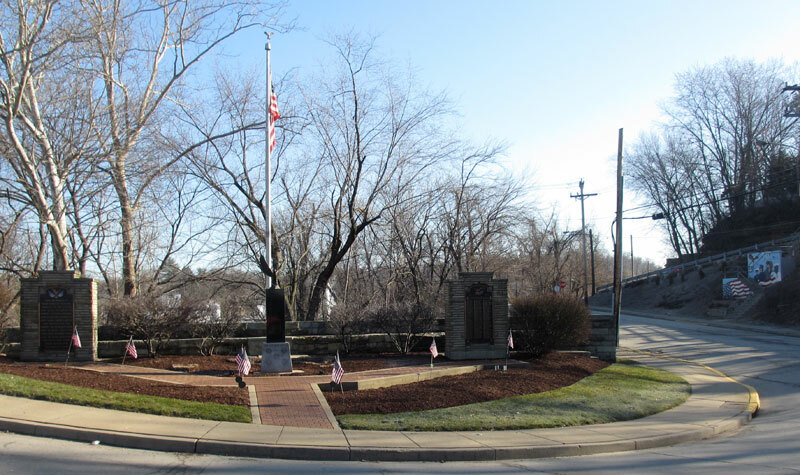 It’s located as a sort of backdrop to a small park with several tributes to the men and woman from this area who served. 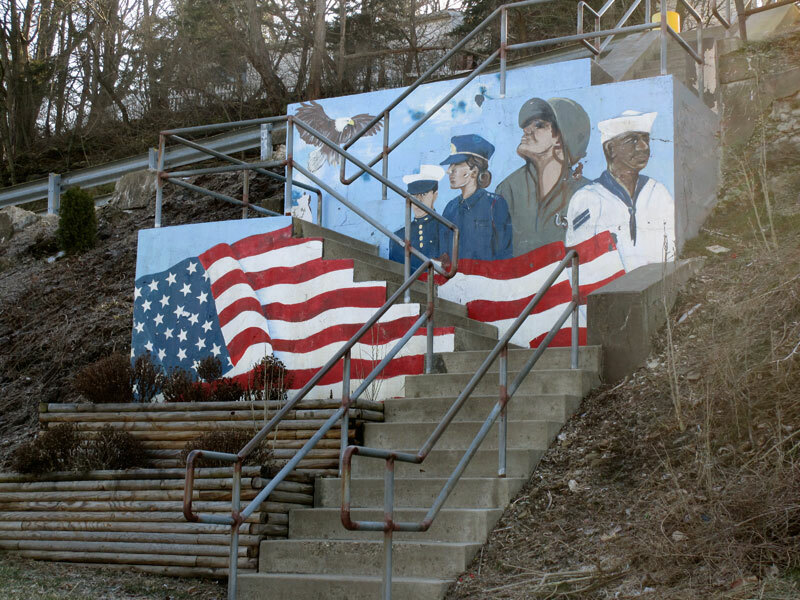 This article in the Plum–Oakmont Patch describes the park and includes more photos.